Edâ€™s is now the number one garden maintenance franchise company in the UK with 36 Operators. It goes without saying that we are now very well established and have a winning formula for building and running great garden maintenance businesses. Our Operators earn a very decent living from running their garden businesses – more than 40% of our network made profits of more than Â£33,000 in 2014. However, being an Edâ€™s Operator is about so much more than that. What we hear time and again from our Operators is that what they value most of all about Edâ€™s is the freedom and choice of lifestyle which being part of Edâ€™s offers. 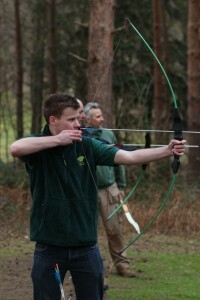 Itâ€™s easy to appreciate how people get a great sense of wellbeing and satisfaction from being in control of their own destiny, while doing a healthy outdoorsy job. You can work where and when you want and get back out exactly what you put in at Edâ€™s. Itâ€™s straightforward and wholesome and a lot of the worry of running your own business is taken away when you do it our way. You get peace of mind knowing that you only need to follow what has been tried and tested an you will reap the rewards. At Edâ€™s you have all the benefits of being part of a great team whilst being able to strike out on your own. No office politics, no fears of redundancy, no lengthy commutes, no clock watching boredom. And last, but most certainly not least, you have the freedom to focus on the other things that are important to you, whether it be being around for your young family , hobbies or holidays or a mix of different things. At Edâ€™s we really do respect that success means different things to different people and itâ€™s not just about money. We treat you as an individual, we listen to what success is for you and we offer you the flexibility and support so you can build your business to your own definition of success. Edâ€™s Operator, Stuart Thackery, has done precisely that. 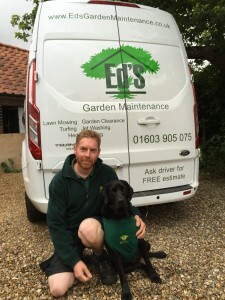 After a previous life living in the suburbs with a tedious daily commute into London, Stuart now runs his Edâ€™s business in rural Norfolk with his black Labrador at his side, driving along picturesque country lanes delivering his garden services with gusto. In Stuartâ€™s own words â€œI know itâ€™s a bit of clichÃ© but I really am living my rural dream. I enjoy what I do and itâ€™s a million miles away from the Corporate grind I had back in London. I work hard and there is the odd challenging customer but give me a bad day doing this over a good day in an office any dayâ€ Stuart is ticking all his boxes, why donâ€™t you take a step to ticking all yours with Edâ€™s?